The Minister of Health, Prof. Isaac Adewole, on Friday in Abuja said 10,000 people die annually due to agony and lack of basic equipment for treatment of cancer. Mr. Adewole said at the inauguration of the National Hospital’s Radiotherapy Centre with new Multilleave Lenear Accelerator for cancer treatment. He attributed the number of deaths to lack of necessarily equipment and resources to attend to cancer patients. The minister, who described cancer as a worldwide disease that kill more people than the combination of Tuberculosis, infectious diseases and HIV, decried the lack of resources to cushion the effect of cancer. He described the situation as worrisome. Speaking on the inaugurated facility, Mr. Adewole commended the Wife of the Vice President, Dolapo Osinbajo, for her passion in addressing the plight of cancer patients. He emphasised that such passion had made it a reality for the centre to be operational and described it as a measure toward alleviating the plight of patients. Noting the presence of one Multilleave Lenear Accelerator machine at the facility at the moment, he assured of increasing the number to two in order to forestall challenges of patients in the event of breakdown of one. The minister pledged the Federal Government’s commitment to upgrading seven other cancer centres next year in order to minimise the burden of cancer and associated death rates in the country. “What is important is that the machine has been put to work and upgraded and it is an opportunity for linking those network, treatment modalities that are new. “Anybody coming to this centre will get the right treatment. With the right complaint, we will minimise our treatment damages to neighbouring organs so that we can be more precise with respect to treatment that we offer. “We are making moves to have two new machines that can treat people and also pledge to complete this centre to become the first of its kind in Nigeria,’’ Adewole said. Mr. Adewole who noted the standard practice of one machine to one million people, emphasised that considering the population of the country, Nigeria required 200 of such machines across the seven cancer centres in the country. According to him, if such machines are in place they will adequately meet the challenges of the populace with regard to cancer care. 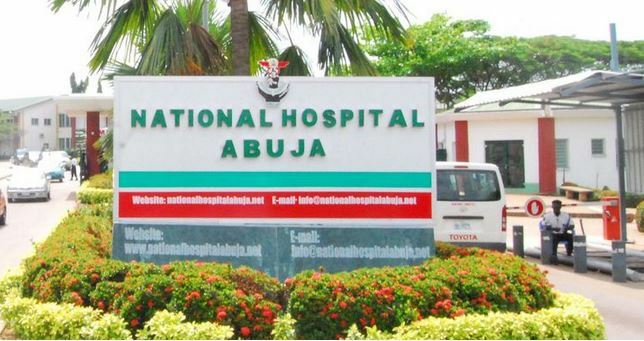 Earlier, Dr Jafaru Momoh, the Chief Medical Director of National Hospital, said the radiotherapy unit was first inaugurated in 2000. Mr. Momoh said it was operational till February this year when it finally broke down due to overuse. He noted that the new centre had facility for one CT Simulator and two Radiotherapy Bunkers. According to him, one multileave LINAC was procured in 2013 but was not installed until recently due to paucity of funds to procure the necessary CT simulators and accessories for the installation and inauguration. “The new LINAC is the first of its kind in Nigeria, staff of relevant departments have been trained on its use. “Additional support will be needed to complete the entire complex and provide the necessary equipment and relevant manpower to run it as a centre of excellence for cancer care,’’he said. Mrs . Osinbajo, while inaugurating the facility, lauded the efforts of the hospital’s management for making the facility a reality. She described the death of 10,000 people to cancer as unimaginable and assured the hospital of the federal government’s support in making everything available to ensure quality service delivery in the facility. “I looked forward to a day that the cure of cancer stand but I am happy that though the resources are limited but we are making steps, stride in the right direction. “I see hope with the machine here and all other things to go. My appeal is for us to love Nigeria and for us to love Nigerians. “I pray for us to respond to love Nigeria and respond to love Nigerians and the result will be a beloveth Nigeria. “By risen of this building I see patients that are helped, loved ones of patients that are happy that we have a facility that they can use to help their loved ones out of sickness,’’ she said.